Charles Krevisky (later known as Charles Kramer), the son of Russian-Jewish parents, was born on 14th December, 1906. Kramer attended medical school but was forced to abandon his studies as a result of the impact of the Great Depression on his family.He was forced to take menial jobs such as farm labourer, sailor and stenographer. Hope Hale Davis and her husband, Karl Hermann Brunck, were both members of the Communist Party of the United States (CPUSA). They were invited to the home of Charles Kramer, for their first meeting. Also in attendance were Victor Perlo and Marion Bachrach. Kramer explained that the CPUSA was organized in units. "Charles... explained that... we would try to limit our knowledge of other members, in case of interrogation, possible torture. Such an idea, he admitted, might seem rather remote in the radical Washington climate, but climates could change fast. In most places members of units knew each other only by their Party pseudonyms, so as not to be able to give real names if questioned." Chambers asked Boris Bykov what had happened to Poyntz. He replied: "Gone with the wind". 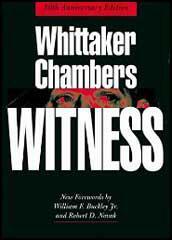 Chambers commented: "Brutality stirred something in him that at its mere mention came loping to the surface like a dog to a whistle. It was as close to pleasure as I ever saw him come. Otherwise, instead of showing pleasure, he gloated. He was incapable of joy, but he had moments of mean exultation. He was just as incapable of sorrow, though he felt disappointed and chagrin. He was vengeful and malicious. He would bribe or bargain, but spontaneous kindness or generosity seemed never to cross his mind. They were beyond the range of his feeling. In others he despised them as weaknesses." (10) As a result of this conversation, Chambers decided to stop working for the Communist Party of the United States. According to Isaac Don Levine the list of "espionage agents" included Charles Kramer, Nathan Witt, Alger Hiss, Donald Hiss, Laurence Duggan, Lauchlin Currie, Marion Bachrach, Harry Dexter White, John Abt, Lee Pressman, Julian Wadleigh, Noel Field and Frank Coe. Chambers also named Joszef Peter, as being "responsible for the Washington sector" and "after 1929 the "head of the underground section" of the Communist Party of the United States. Chambers later claimed that Berle reacted to the news with the comment: "We may be in this war within forty-eight hours and we cannot go into it without clean services." John V. Fleming, has argued in The Anti-Communist Manifestos: Four Books that Shaped the Cold War (2009) Chambers had "confessed to Berle the existence of a Communist cell - he did not yet identify it as an espionage team - in Washington." (12) Berle, who was in effect the president's Director of Homeland Security, raised the issue with President Franklin D. Roosevelt, "who profanely dismissed it as nonsense." During the Second World War Charles Kramer worked as an advisor to Claude Pepper and Harley Kilgore. In 1942 he joined the Office of Price Administration. The following year he became a member of the staff supporting the Senate Committee on War Mobilization. Kramer was now part of the Victor Perlo spy network. Other members included Henry Hill Collins, John Abt and Nathan Witt. On 5th August, 1948, Alger Hiss appeared before the HUAC: "I am not and never have been a member of the Communist Party. I do not and never have adhered to the tenets of the Communist Party. I am not and never have been a member of any Communist-front organization. I have never followed the Communist Party line, directly or indirectly. 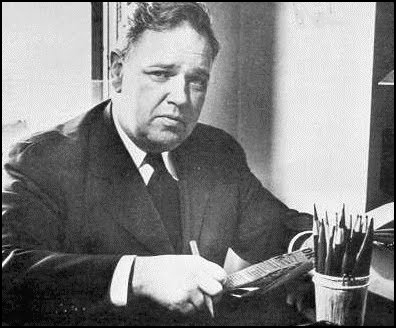 To the best of my knowledge, none of my friends is a Communist.... To the best of my knowledge, I never heard of Whittaker Chambers until 1947, when two representatives of the Federal Bureau of investigation asked me if I knew him... I said I did not know Chambers. So far as I know, I have never laid eyes on him, and I should like to have the opportunity to do so." Elizabeth responded to the Soviets' orders to turn over her sources by simply ignoring them and continuing to expand her own spy network. Shortly after 1944 began, Browder told her that he had another group of agents ready to deliver information to her. Their current handler, attorney John Abt, was an organizer of labor's political action committee, the CIO-PAC, and could no longer risk any involvement in espionage." Although Golos had planned to take over the spy ring, he died before he could. Browder wanted Elizabeth to be the group's new courier and controller." In March 1944, Elizabeth had her first meeting with the "Perlo group." On a rainy afternoon in his Manhattan apartment, Abt introduced her to Charlie Kramer, Edward Fitzgerald, Harry Magdoff, and Victor Perlo. She soon learned that there were five more sources who shared information with the group. The four members of the group she met that day held various jobs in the government: three of them worked for the War Production Board, while Kramer was a staff member of Senator Harley Kilgore's Subcommittee on War Mobilization. Perlo was their undisputed leader. In 1945, an NKGB informant on Senator Harley Kilgore's staff, Charles Kramer ("Mole"), met with Oppenheimer several times in Washington, also without evident result. In Kramer's report to Washington station chief Anatoly Gorsky (conveyed to Moscow on October 19, 1945), on his discussions with Kilgore, Oppenheimer emerges as a visionary seeking international agreement on atomic energy matters, and not as a potential agent. Atomic secrets should be "disclosed," he told Kilgore and Kramer, "only when there is political cooperation among the countries." Naturally, he hoped that the United States would pursue such cooperation for atomic energy's peaceful uses, but Kramer's report described the scientist as a "liberal" and not a covert Communist. Nor did Gorsky, in sending Kramer's report to Moscow, describe Oppenheimer as a source. Although Oppenheimer eluded Soviet efforts to recruit him, the NKGB was more successful with another leading physicist among the scientists working on "Enormoz," initially in Great Britain. In November 1943, however, this important agent was one of a group of researchers transferred to America as the project moved toward conclusion. Soon finding himself enmeshed in an often-unsatisfactory relationship with his newly assigned courier, Harry Gold, the German-born physicist and covert Communist Klaus Fuchs ("Rest"), a Soviet agent since 1941, reached the United States. Kramer eventually moved to the Perlo Group, which was run by the KGB. His wife was a committed Communist who served during the 1930s as a courier for the KGB's New York rezidentura. Kramer held various posts on the Hill, eventually joining the staff of Senator Harley Kilgore of West Virginia, whose committee was focused on wartime economic mobilization. Victor Perlo unsuccessfully put increased pressure on Kramer to intensify his collection of documents and information for Soviet intelligence. Kramer also had been an advisor to Senator Claude Pepper (D) of Florida. When Elizabeth Bentley, a former courier for Soviet intelligence, exposed Kramer in 1948, Pepper publicly stood by him. Subsequently, Kramer worked for Henry A. Wallace and the Progressive Party until the early 1950s. He then moved to Oregon and faded from public sight. Alger Hiss: As far as I know, I have never seen him. Karl Munt: Should come before this committee and discuss the Communist apparatus working in Washington, which he says is transmitting secrets to the Russian Government, and he lists a group of seven people - Nathan Witt, Lee Pressman, Victor Perlo, Charles Kramer, John Abt, Harold Ware, Alger Hiss and Donald Hiss. Alger Hiss: That is eight. Karl Mundt: There seems to be no question about the subversive connections of the six others than the Hiss brothers, and I wonder what possible motive a man who edits Time magazine would have for mentioning Donald Hiss and Alger Hiss in connection with those other six. Karl Hiss: So do I, Mr. Chairman. I have no possible understanding of what could have motivated him. There are many possible motives I assume, but I am unable to understand it.